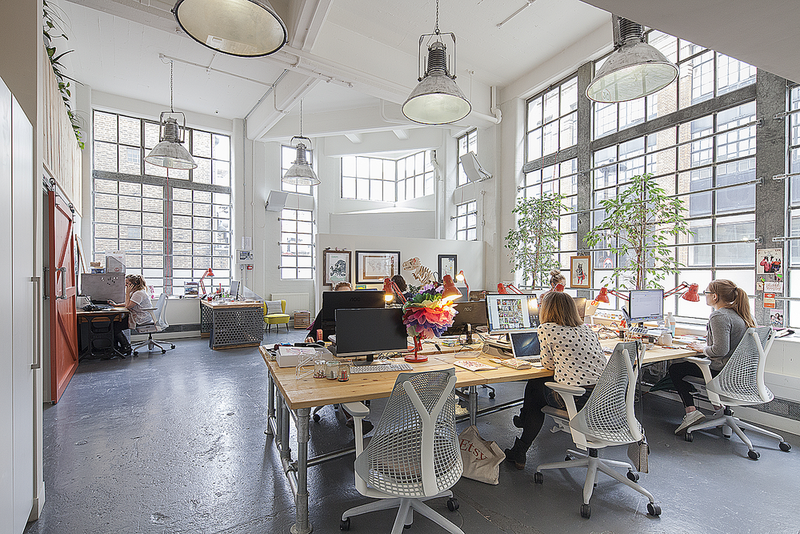 Etsy, the online retailer who started-up in Brooklyn, New York, wanted to establish a London office to equal the individuality of the US head office and reflect the energy of the London start-up scene. The industrial building in Farringdon provided a unique space with a simple but contemporary urban feel that suited the Etsy culture. Items from Etsy's own sellers and makers provided the furniture and reception desk making the office space an embodiment of Etsy and it's ethos. Even the workstations were hand made for the space. At Mezzanine level a space was created for the breakout where the Etsy team meet for lunch once a week. The Mezzanine space overlooks the double height ground floor which benefits from the natural light from the large external windows.